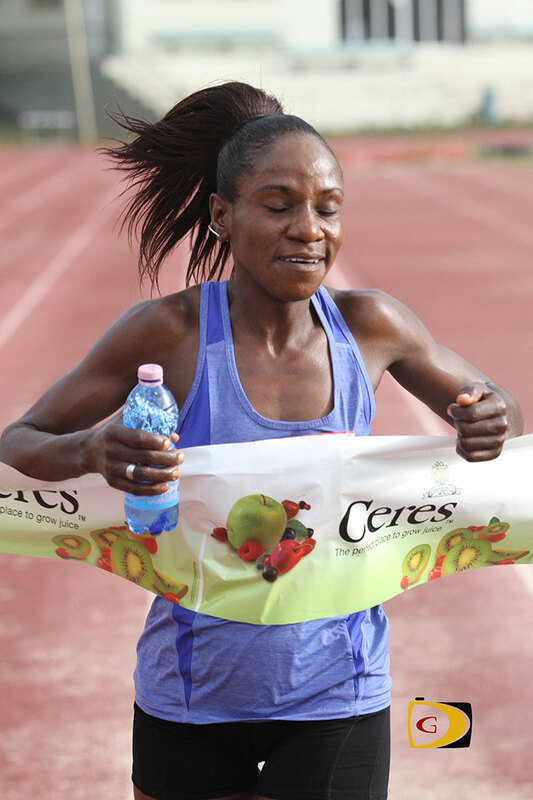 Rosmond Johnson and Reuben Stoby had season opening victories on Saturday in the Ceres Juices 10K Series opener on the City Circuit course in Road Town. Women: 1. Rosmond Johnson, 49:23. 2. NiMade Oniasih, 51:36. 3. Rebecca Cook, 51:58. 4. Kay Reddy, 52:41. 5. Gillian Plaxton, 53:07. 6. Claudia Ferrari, 54:40. 7. Lauren Julien, 56:21. 8. Judy Haycraft, 57:00. 9. Jessica Santos, 58:00. 10. Debbie Bell, 59:30. 11. Maxine Jones, 1:01:08. 12. Anna Kinkead, 1:01:55.13. Barbara O’Neal, 1:04.26. 14. Claire Burke, 1:08:06. Short Course: Philomena Robertson, Darwn Peters.